Christine Ott has graced the virtual pages of Aural Aggravation on a number of occasions, and has been on my radar for a while. Here, she comprises one half of newly-founded Snowdrops, a France-based keyboard duo formed with Mathieu Gabry. The press release explains that ‘the Thai film trains a poetic look at the void of humanity through the story of two men, a Thai fisherman with peroxide blonde hair and a nameless stranger stuck in a foreign land and supposed to be a Rohingya of Myanmar, whose continuing persecution is constituting one of the biggest human rights scandals of our time’. And so Snowdrops is a film of extreme importance right now. The world is in turmoil, and while culture is supposedly the most evolved it’s ever been, humans right are being eroded, disregarded. Corporations and governments act s if they’re exempt, and yet they all talk of ‘the will of the people’. A soundtrack’s function must always be to enhance the movie it accompanies, and to add depth and dimension. But my initial response to any soundtrack release is ‘does it work without the visuals?’ And while immersing myself in the work, I ask ‘what visuals, what images does this conjure? What mood does it convey?’ Soundtracks which are reliant on the film they accompany are fine, but are better not release independently. And I’m doubly not a fan of those ‘OST’ works which feature snippets of dialogue or scenes intersected with songs. 20 years ago, it was maybe cool. In fact, it was. It was the way soundtracks were, and showcased classic dialogue that would pass into postmodern parlance. But listening back now to the CD of Pulp Fiction, it sounds somehow naff. And the Trainspotting soundtrack albums aren’t soundtrack albums, but compilations. Has the world changed or have I changed? Perhaps both: there’s an entire generation coming through who haven’t even heard of Trainspotting, let alone its vast cultural impact. Culture has a short memory, and it’s depressing. Snowdrops’ soundtrack to Manta Ray is very much a musical work in its own right, designed to compliment the film. It isn’t glitzy, it isn’t mainstream. Sonorous, rumbling pulsations sound out into the depths on the first piece, ‘Introduction / Gemstones in the Forest,’ before soft, delicate sonic lacework begins to drape its semi-abstract from over the fluid framework of the composition as it drifts in a loose, languid form. ‘The Monologue’ may have more solidity for French-speakers, but the mumbled utterances, delivered against a backdrop of distant piano, played as a dolorous, single chord motif, whispering contrails and melancholic atmosphere speaks beyond language. And indeed, language and its abstraction shapes a large part of this album’s organic feel. It bubbles, mellifluous, and isn’t an easy work to grasp any sense of tangibility from. Much of the album consists of muffled dissonance and unintelligible murmurings, and these work well in the way they conjure deep, dark atmospherics. They do little to convey any sense of filmic narrative, but in context it’s hardly a problem. 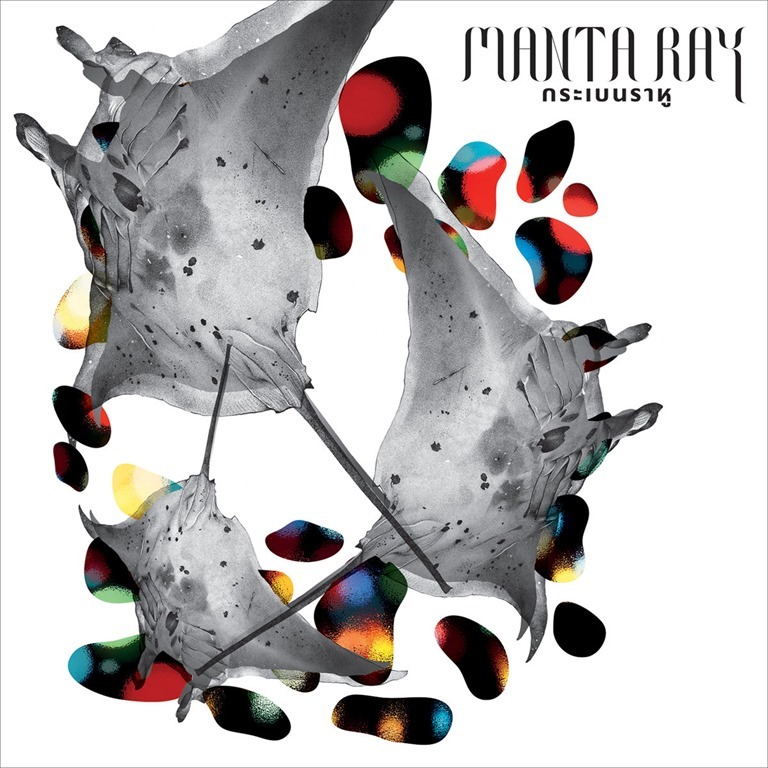 Manta Ray is abrim with subaquatic abstraction, subterranean, swampy sounds, and exists within a sense of itself.